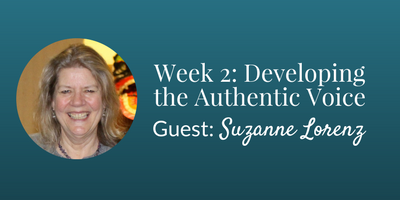 Suzanne is an entrepreneur who felt awkward asking for money. Like most millennials, she knows there is no future in sight for an increase in steady jobs. She does enjoy flexibility in the gigging economy, offering her graphic-design skills through various sites. She has undersold herself, because she was shy to ask for what she wanted, and because she doubted her own worth. She was just about to land a dream job, and during the interview felt a familiar flush of heat. Her throat tightened as he asked her about how much money she wanted. Nervously she stammered her answer but quickly regretted underselling herself. He accepted her proposal, and she loved the project. It utilized her unique genius, and she enjoyed feeling valuable, even though she asked to be paid so little. Then Suzanne set on a journey with a group of other women to find her money voice. What she learned from the group sessions enabled her to better negotiate with her clients and her husband. Because she was more confident in her value, she actually got more clients at a higher rate. Let me repeat that: She actually got more clients after raising her rate. Now she connects more authentically with people, bringing greater satisfaction and prosperity to both her clients and herself. Money is the #1 cause of stress in America, so get some relief by learning the skills to talk openly about it! What if there was a way money could bring you closer together instead of drive you apart? 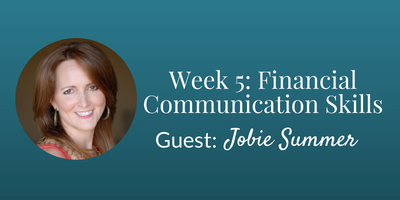 Are you confused with all the financial jabber? Perhaps you have a tough time talking about money, especially with those you love most. 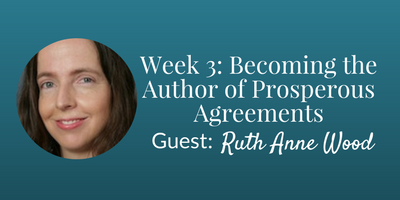 It may be tough to say no, but creating clear boundaries and agreements is essential to greater prosperity. 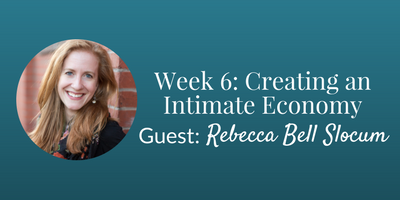 I help women learn how to have relaxing and productive conversations about money. One of the things that angers me most is women being told their voice is not valuable. Too many financial professionals are condescending with their female clients. When a woman’s feelings and needs are not acknowledged, her financial plan will not create the true wealth she deserves. She actually got more clients after raising her rate. 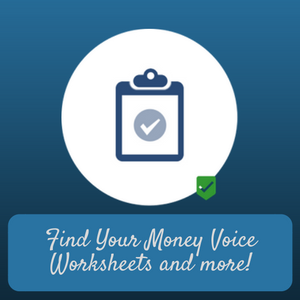 How can you find your money voice? 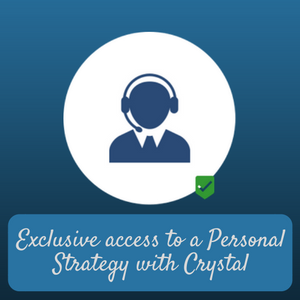 Each week includes a 90-minute ZOOM webinar facilitated by Crystal with guest faculty. Your power is often locked up behind fear and shame. 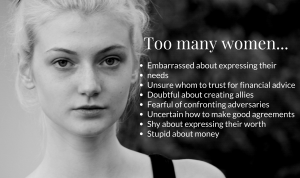 Most people have a tough time talking openly about money. I’ve heard hundreds of women tell tearful stories about being reprimanded as children for expressing their emotions and for asking about money. This then created neural barriers to exploring their money mindset. So why do you have difficulty breaking through these barriers? Shame and guilt are the sticky culprits. 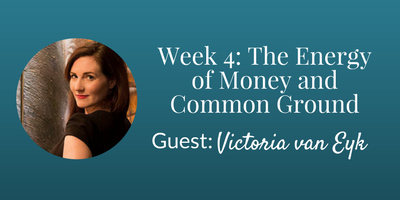 Learn key approaches for satisfying money conversations. Improving your conversations about money will enable you to master your money. Learn to respond instead of react to get the outcome you desire. Negotiate with greater ease, so you can save money on major purchases, reverse bank fees, and get paid what you’re worth. Discussing money doesn’t have to be a struggle! With insights from our experienced guest faculty you will be able to upgrade your communications skills and watch your bank account grow. In intimate relationships, such as marriages and business partnerships, you often feel like our partners know you better than anyone. Why then is it so hard to talk about money with your partners? Over 80% of spouses admit to hiding purchases from each other. Shame and guilt shut people down and cause disconnection. Clear, calm, and uninhibited communication is key to intimacy, connection, and financial improvement. The satisfaction of connection is greater than money can buy. You can cultivate authentic connection through finding common ground in your financial discussions. You have a deep and honorable desire to be appreciated and acknowledged, and you have probably felt the pain of feeling undervalued in some way. Yet when we access the power of self-compassion, there is a quality of satisfaction that can never come from outside. When people communicate effectively, a transformational portal for lasting change is opened. Conscious communication develops empathy, which is the antidote to the suffering of separation. Empathy enables you to understand another person through imagining yourself in their shoes. When you acknowledge the feelings of another, compassion and love flavor the connection. After you register and pay for the course, you will immediately be sent your log-in information, where you can access the first module and bonuses. You will be notified by email of all course updates. 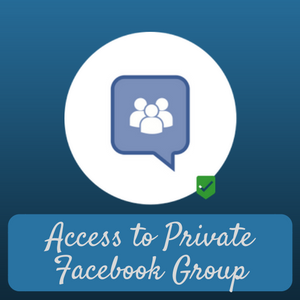 Lifetime unlimited access. You are a key part of this creation. This is a long-term investment with immediate benefits. Your investment is $247 for the complete course, with life-time access. Bring a friend for 50% off their tuition! Why should I buy this course instead of those other get-rich affirmation courses? Life has its ups and downs. Effective transformation is catalyzed when we acknowledge suffering. We are unique in that our approach considers relationships to be foundational for all value assessment and wealth management. This collaborative experience will actually increase your wealth. 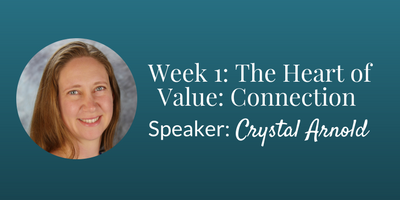 As an economist, Crystal has a unique and practical perspective. What makes our faculty special? Our faculty includes women with decades of experience. These women have history in social work, financial planning, non-violent communication, and in marketing. They’ve seen the money struggles of thousands of couples and individuals, advising and assisting in transformation. Each offers practical tools to gain greater confidence as you speak about and manage your money. Women thrive with greater support. Share this experience with a loved one, near or far. When you register, you will be given a special link to share with a loved one for 50% off the course price. Together, we amplify our individual potential. Have those money talks with someone you care for. To request a refund, simply email us and explain the reason why. If you have been using the course but not experiencing benefit then, we will refund your money via Paypal. Email us at support@money-morphosis.com and we will get back to you within 36 hours. Six-week course + lifetime access!